A great email marketing tool can make or break a digital marketing strategy. Choosing a great tool means you’ll have the features you need to convert your customers using the most ROI-friendly channel that exists. Mailchimp has long been a king of this domain, but every king falls eventually. As Mailchimp has recently announced a split with ecommerce platform leader Shopify, for many customers, that fall has already happened. With that fall comes new contenders for the throne, and many former Mailchimp customers are looking to Omnisend for the answer. But can Omnisend live up to Mailchimp? 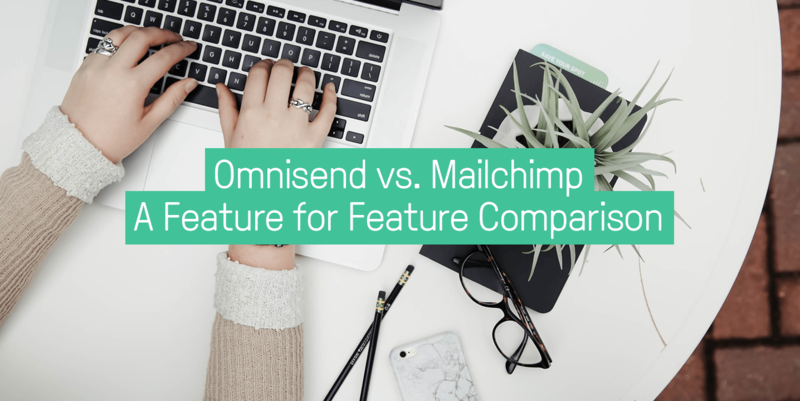 Today, we’re going to compare Omnisend vs Mailchimp in a pound for pound, feature for feature showdown. May the best email marketing platform win. Who is Each Tool Built For? Omnisend vs. Mailchimp: Who Is Each Platform Built for? When considering an email marketing tool, it’s important to consider who the tool is made for. It could be the best platform in the world, but if you’re a growing business and the tool’s price is out of your budget, it’s not going to do you a lot of good. Mailchimp is built for small businesses and it definitely shows. The platform is pretty easy to use and the pricing starts out rather low compared to other tools on the market. However, as it was built for smaller guys, it may not scale with your company the way you’d need it to. Omnisend on the contrary was built specifically for ecommerce. 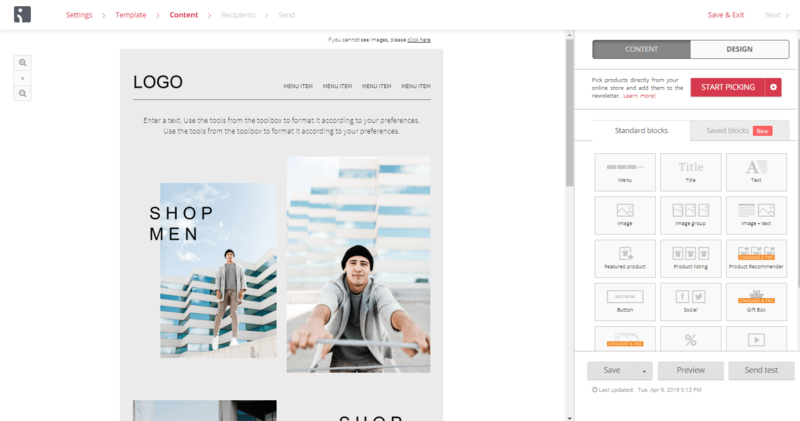 While Mailchimp has some ecommerce-friendly templates and features, Omnisend comes with the resources that online sellers and ecommerce marketers need the most. For example, both tools offer automation that allows you to send cart abandonment emails, but only Omnisend offers native discount codes and a product picker that allows you to pull products directly from your store for your campaigns. Both Mailchimp and Omnisend began as email marketing tools, and over time, they’ve each added new features and channels to their base tool. 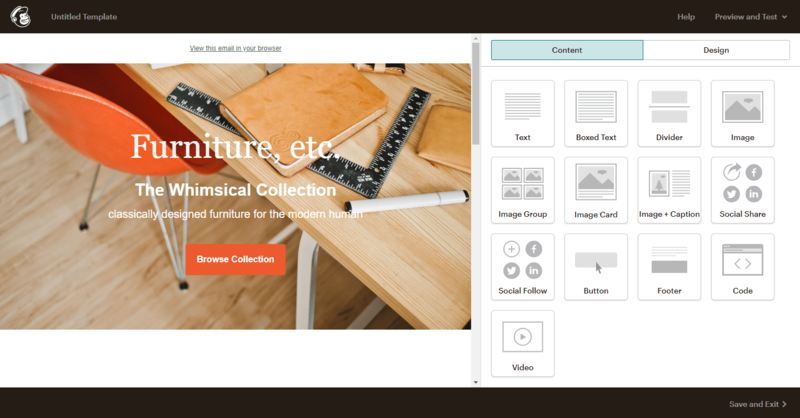 Mailchimp set the standard for visual email builders and for good reason. You simply drag and drop in order to build a campaign. You have the possibility of pulling in all kinds of different pieces of content and you don’t need to know anything about HTML to do so. Omnisend’s visual composer has very much the same easy-to-use drag-and-drop layout. Like Mailchimp, Omnisend allows you to pull in virtually any kind of content to your campaign. However, there are a few differences. With Omnisend’s native integration you can pull products directly from your online store, offer smart product recommendations based on what customers have recently browsed (or products you think the customer might like) and offer automatically integrated discount codes in your emails. Also, while both tools allow you to build customizable email templates based off of your best email campaigns, only Omnisend allows you to save individual blocks to reuse in future campaigns. While Mailchimp may have wrote the book on an easy-to-use email builder, Omnisend offers more features for ecommerce marketers at the end of the day. Round 2: List Building & Email Capture– Which Tool Builds Better Subscriber Lists? Both Mailchimp and Omnisend offer sign up forms for email capture, however there are some key differences between the two platforms. Omnisend offers embeddable static forms you can place anywhere on your site. You can also create popups that appear either when a customer spends a certain amount of time on your page, if they scroll a certain amount of your page, or if they move to exit your page. Omnisend also offers landing pages with templates and the same easy to use drag and drop builder that you’d use for emails. The landing pages are fully customizable so you can capture as many emails as possible. Mailchimp offers all of this as well. The differences are apparent when it comes to gamified forms. Omnisend offers a Wheel of Fortune popup that entices your customers with a “spin to win” aspect of signing up for your list. This kind of dynamic form has been proven to be more effective than even exit-intent popups for email subscriptions. Round 3: Segmentation– Which Tool Offers Better Targeting? Campaign activity: whether a customer has clicked on a certain campaign, opened the last three campaigns, etc. In addition, both tools allow you to sync your subscriber segments into Google and Facebook retargeting ads in order to draw your customers back into your store. Round 4: Automation– Which Tool Will Save You More Time? 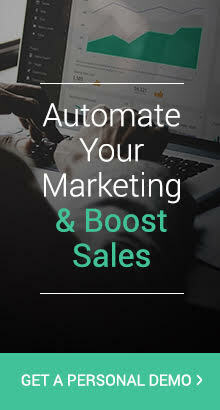 If there’s any set of features that truly set these two email marketing platforms apart, it’s automation. 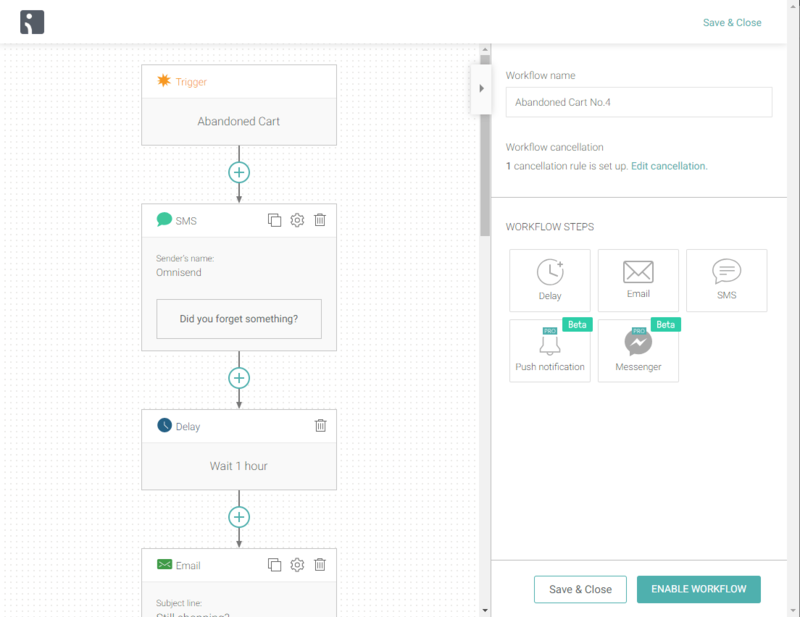 Mailchimp offers basic email marketing automation, allowing you to create simple workflows for your email drip campaigns. 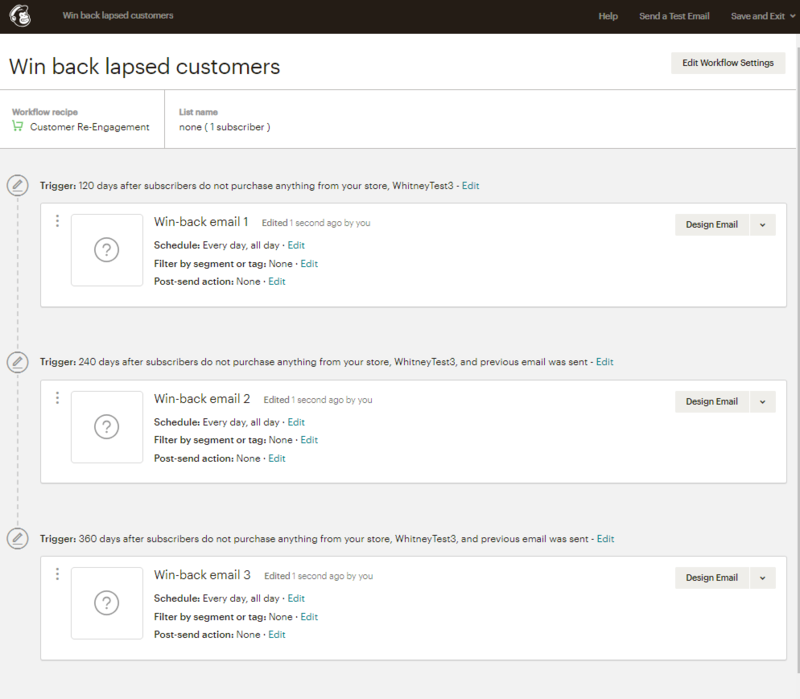 Mailchimp offers you a basic list of your emails with what trigger you have just above each message. You filter your segments and post-triggers from each email. While this is good enough for basic email automation, it’s not very visual and a bit difficult to understand at a glance. Omnisend offers quite a bit more in automation. First of all, their automation workflow is considerably more visual, and you can understand exactly what’s happening step-by-step. You can clearly see at a glance which message is being sent, where your delays are, and how many customers are in each step of your workflow. Yet another way Omnisend’s automation workflows go above and beyond is in how they add in other channels. In the same automation workflow, you can add email, SMS, Facebook Messenger, WhatsApp, Viber, push notifications, and many more. If you want to boost your email automation series, you can add in separate channels without creating a separate segment or a different workflow. This means you can create complex automation workflows using the channels that your customers engage with most, creating a better customer experience for them. Both tools offer plenty of automation templates to help you get started, and Omnisend offers suggestions on which channels to use in each automation workflow. Round 5: Pricing– Which Tool Provides the Best Value for Price? When it comes to pricing between the two tools, there’s not a whole lot of difference depending on what kind of plan you need and how many subscribers you have. For example, Omnisend’s Standard plan is a bit more expensive than Mailchimp’s Grow plan. However, if you’re looking for Pro features, Omnisend’s Pro plan at 10,000 subscribers costs about the same as Mailchimp’s Pro plan at 500 subscribers. The biggest thing you should takeaway from this comparison is that every tool is different. Making an informed decision is critical to something as important as your email marketing strategy. 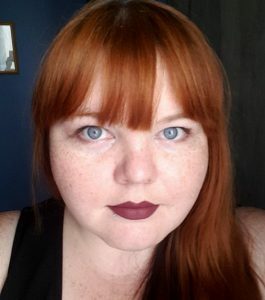 While Mailchimp may be best for those who are just starting out, Omnisend knocks it out of the park for established marketers, especially if they’re in the ecommerce industry. What are your favorite features from both tools? Do you have a favorite in particular? Let us know below!